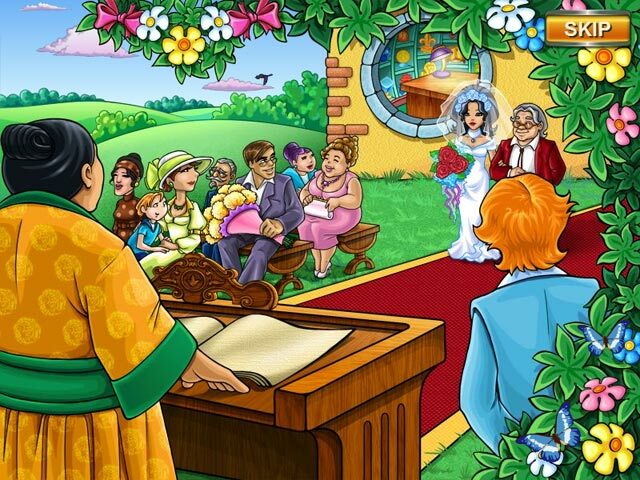 Help Jill save her wedding! Cake Mania 3 opens as Jill nervously prepares for her long anticipated wedding day. Then suddenly, disaster strikes when a mysterious, long-forgotten time bender crashes to the ground and shatters into pieces. As Jill's family and friends rush to pick up the scattered shards, they are suddenly sent hurtling through time. Now, to ensure her wedding goes off without a hitch, Jill herself must travel to remote periods in time - from Ancient Egypt and Revolutionary France, to an unknown future where anything is possible - and work her cake making magic on a wide variety of locals in order to get herself and her guests back before the ceremony begins! Can she do it? 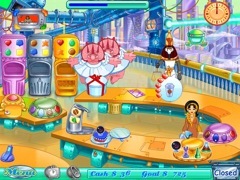 Play Cake Mania 3 to find out!